If you have been wondering what Salesforce has been up to, they have unveiled their next generation social studio, which is now fully integrated into the Salesforce Marketing Cloud. It’s got an interesting twist in that it includes next generation social listening, social customer service for service teams and new social lead engagement for sales teams. It seems that the world is finally getting that from the customer’s point of view, that they are not talking to Sales, or Marketing or Customer Service — the customer is talking or interacting or engaging with a company. And to have all of that contained in one application or platform and make the customer information available for all of the various functional departments seems like the best way to make customers feel hear and listened to. Social media is ubiquitous with customers, yet many companies are still struggling with how social can improve business decisions and processes. Customers and Consumers are adopting social and digital very fast, where as companies are dragging their feet, some kicking and screaming or others even turning a blind eye to it. As a result, many companies are falling into the digital transformation / customer experience gap. Social Studio including a simple user interface that empowers any employee to benefit from social listening and engagement on desktop and mobile devices. Innovations include social customer service for service teams and new social lead engagement for sales teams. Leading global brands like Activision, McDonald’s, and ADP leverage Social Studio and the Salesforce Customer Success Platform to connect with customers in a whole new way. Marketers want to run social campaigns, engage with customers, and use social insights to drive marketing decisions. Service teams need to surprise and delight their customers with social customer care. Sales teams need to find and connect to new customers faster with social lead generation. However, social is still isolated from key customer interactions. This means that many companies will fall into the customer experience / digital transformation chasm. 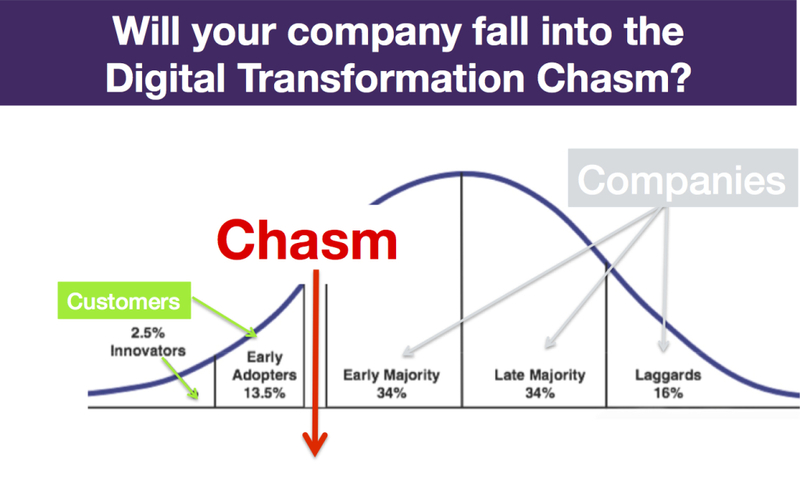 However, with the right strategy, leadership, people, process and technology can prevent a company from not crossing the chasm and catch up to customers and consumers. What Salesforce has done it build the next generation of Social Studio, using on the best elements of Radian6 and Buddy Media and extending social listening, analysis, content marketing and engagement across the Salesforce Customer Success Platform. It also includes a completely new social listening and sentiment engine monitors more than one billion social data sources from Twitter, Facebook, YouTube, blogs, news sites and more. Social Studio is designed to meet the scale of the largest multi-brand, multi-region companies, enabling social media teams to empower other groups throughout an enterprise with a unified, easy-to-use social solution for sales, service and marketing. Social marketing and community management teams can finally get rid of their spreadsheets and manage social content calendars in Social Studio. Integration with Social.com, the Marketing Cloud’s social advertising solution for agencies and advertisers, allows teams to monitor top performing content published from Social Studio directly within Social.com, and amplify the content with sophisticated social advertising campaigns to reach more current and potential customers. Leveraging Social Studio, customer service teams can easily monitor social channels for customer support issues, create a customer case to be managed in the Service Cloud and route these social cases to right person or team to ensure timely resolution of customer issues. With the combined power of Social Studio and the Service Cloud, any company can surprise and delight customers with social customer care on the world’s leading social networks, including Facebook, Twitter, Google+, and Sina Weibo. For the first time, every Service Cloud customer can now get started with social customer service for no additional charge, managing up to two Facebook or Twitter accounts directly from the Service Cloud. Social customer service drives business results, as customers spend 20-40 % more with a company when the company responds to customer service requests over social media. Two-thirds of marketers see lead generation benefits with social media1. Now sales reps can use Social Studio to find and connect to new customers faster with social lead generation. By listening to conversations across more than one billion social data sources sales reps can identify new leads and engage with them in real-time directly from the Sales Cloud. In addition, using Social Studio, Sales Cloud can automatically make Pardot marketing automation and lead scoring more efficient by adding social data, such as sentiment or influencer status, to campaigns and leads. Social Studio is an open platform where any developer, ISV, customer or partner can directly build and deploy applications. Social Studio launches today with a select partner program that brings together seven of the industry’s leading vendors for visual content and compliance and rights management, content discovery and performance marketing. Partners include Getty Images, Nexgate, a division of Proofpoint, Pressly, Rallyverse, Shutterstock, and Trendpottr. And that’s one of the ways brands are solving the issue of not following into the customer experience conference and the digital transformation chasm. But it’s not just technology, its got to be a people, process and technology combination. And it has to lead by senior executives, the Board of Directors and become pervasive throughout a culture. And that is a big initiative to accomplish and needs organizational change management. And while people have been talking about organizational change management for years, perhaps it’s time has found its time and place and will finally be taken seriously. Covering Marketing, Sales and Customer Service by Delivering Customer Experiences. Most brands didn’t realize the digital disruption and revolution mean that they would become digital publishers. But at the end of the day, that’s exactly what happened. So what are great digital marketers doing to optimize content? That’s what this blog post is about: How are you optimizing your content? So if you are a CMO or Digital Professional, I don’t need to tell you that content is “it.” In fact, According to the Custom Content Council, 42 percent of the $43.9 billion spent on marketing in 2013 was allocated to content marketing. If you look on, LinkedIn there are nearly 2 million professionals working in the content marketing field today. What’s really important to these professionals is to make sense of what content works and what doesn’t. Marketers need help to navigate content marketing by making their most powerful technologies available to the entire digital marketing community. Access to this type of technology offers marketers the powerful insights they need to make informed decisions and drive tangible business results. Along these lines, BrightEdge, content marketing platform, unveiled BrightEdge Community Edition. For the first time, BrightEdge is opening its technology up to the entire digital marketing community at no cost. The Community Edition includes access to Data Cube To-Go, a massive data repository of billions of pieces of content from across the web and Content Optimizer To-Go, a proven recommendation engine for content optimization. Marketers can download the Community Edition at no cost as an extension for Google Chrome and gain immediate insight into the performance of digital content, competitor content, and receive performance-enhancing recommendations. So what do customer’s who are using the technology saying? “Insight from the Data Cube is proving really useful for us as we start to really understand who is appearing in spaces that matter to us, the reasons why, and other areas we can potentially win,” said Dan Patmore, search strategy manager for Argos. How Does The BrightEdge Data Cube To-Go and Content Optimizer To-Go Work? Check the pulse on content performance: Community Edition includes the Data Cube Pulse, BrightEdge’s powerful content performance rating. Data Cube Pulse is calculated at scale on the massive repository of information in the BrightEdge Data Cube for each piece of content. With Data Cube Pulse, content marketers can understand the likely success of a piece of content at a glance. Explore trends and travel in time: Community Edition will also include the Data Cube Time Machine, enabling marketers to see performance over time to understand what content is successful. With Data Cube Time Machine marketers access a unique month over month performance comparison to arm them with the insights needed for exceptional content performance. Keep an eye on the competition: Marketers can open Community Edition on any website on the Internet, including competitors’. By seeing which content and topics competitors are finding success with, marketers can gain a deeper understanding of content performance web-wide and make more informed decisions about their own content strategy. Further competitive insight is provided by Data Cube Pulse and Data Cube Time Machine. Optimize content with proven recommendations: Community Edition includes the revolutionary power of BrightEdge Content Optimizer. Previously available only with Adobe Experience Manager, Content Optimizer To-Go offers all marketers access to the industry’s largest and most proven set of content optimization recommendations. Content Optimizer To-Go makes use of the same powerful advice that is built into the BrightEdge S3 platform for any page visited with Community Edition. BrightEdge Community Edition is available on a limited basis and will be rolled out to the wider public over the following weeks. For more information visit BrightEdge athttp://www.brightedge.com/getCommunity. BrightEdge is the essential content marketing platform for modern business. It transforms online content into tangible business results such as traffic, revenue and engagement. BrightEdge’s S3 platform is powered by a sophisticated big data analysis engine and is the only company capable of web-wide, real-time measurement of content engagement across all digital channels, including search, social and mobile. BrightEdge’s 8,500+ global brands include leaders like 3M, Microsoft, Netflix and Nike. So what are you doing to optimize your content? And make sure all those dollars going towards creative are paying off? Did you know 84-97% of your fans aren’t seeing your Facebook posts? Yep, that’s due to EdgeRank. Facebook admits that the average page only reaches 16-17% of its fans. 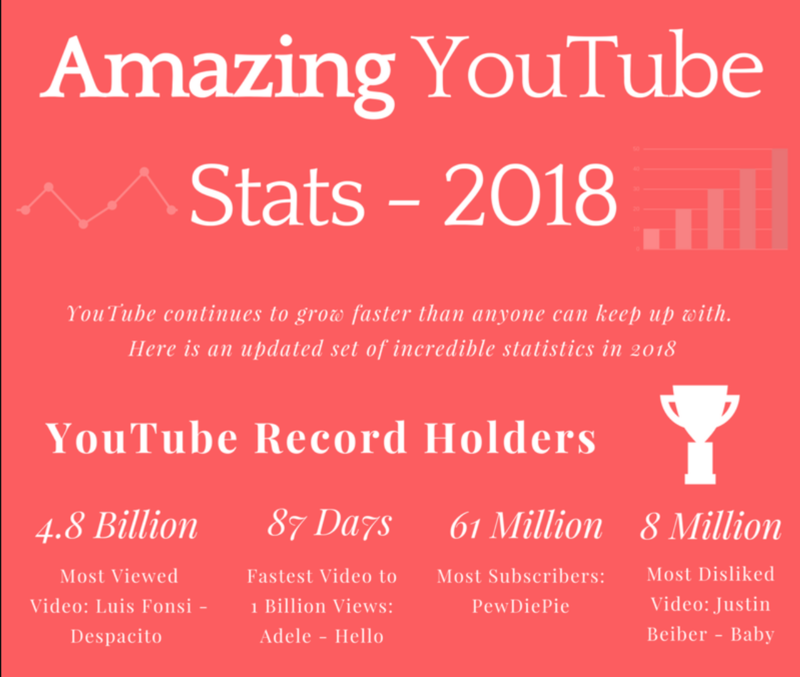 And data from PageLever shows that pages with millions of fans reach as few as 3% of their fans- that is especially true for large brands who typically have large budgets for social media and Facebook. If you are interested in not wasting money your Facebook as well as your Twitter interactions — either the budget you are spending on content, the salaries of your community managers, etc… then you need a way to understand what your engagement on social networks is, especially compared to your competitors. New specific vertical industry reports provide exactly that type of data. The industry reports provide a comparison of the top 10 brands within a vertical market. The reports look at the comparative engagement on Facebook and Twitter. What brands learn is who has the highest engagement on Facebook and Twitter. It looks at what type of content has the highest interactions per channel. In addition, the report looks at what days do customers interact more with the various types of content. The value to clients is that they get a good view of what where they stand compared to their customers, what type of content they should be focusing on and when to publish / republish the content to get the largest engagement. It allows companies to gain higher engagement scores and beat the fact that the marketing funnel is essentially collapsed because few people see the brand’s content. * How some companies are wasting millions of dollars on content marketing. Is that you? * How some brand’s are using vertical Industry Reports to compare their engagement to competitors & transform their engagement and content strategy.